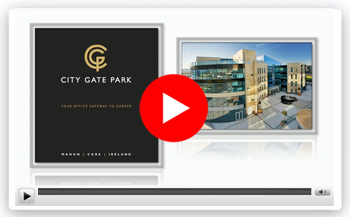 City Gate Park is the first new office development to be completed in Ireland in over 4 years. It is a state of the art, next generation concept, comprising of over 308,000 square feet of grade A office space, designed first and foremost with the key requirements of multi national companies in mind. The first office development in Ireland to achieve a gold LEED Precertification accreditation, City Gate Park has achieved the perfect mix with regard to design, scale, value and efficiency, for global companies who expect the best. It combines an unrivalled working environment with a highly developed transport infrastructure, in a location with a proven template for success.